The world of sports is filled with inspiring comeback stories. The Buffalo Bills coming back from a 32-point deficit to beat Houston in the 1993 U.S. National Football League playoffs, the 2004 Red Sox coming back from three games down to beat the Yankees in the U.S. American League Championship Series, the 2016 Cavaliers coming back from two games down to beat the Warriors in the North America National Basketball Association Finals, to name just a few. Earlier this week, when the University of Virginia (UVA) Cavaliers men’s basketball team beat Texas Tech for the NCAA Men’s Basketball Championship it capped one of the greatest comeback stories in sports history. Just one year ago, in the very first round of the NCAA Tournament, UVA, the #1 overall seed in the tournament, lost to the 16th seed, University of Maryland, Baltimore County 74 to 54. The Cavaliers returned to Charlottesville humiliated as they were the first #1 seed in the history of the 64-team format to lose to a #16 seed. Furthermore, they returned to a city that was still reeling from the scars left by the August 2017 violence that brought the city to the attention of the world and fomented division and stress throughout the community. When Tony Bennett’s team returned victorious this past Tuesday, after their extraordinary comeback, they brought with them hope and the potential for healing to the small, proud city of Charlottesville. The journey of the UVA basketball team reminded me, once again, of the transcendent power of sports. The Cavaliers’s comeback gave me the chance to once again realize that what we do on the court, field, roads, and trails can have profound and lasting impact on us and our communities. In ultrarunning, our beloved sport, there are countless inspiring comeback stories. In recent years, we’ve watched in awe as Hillary Allen has returned to form after a devastating and life-threatening fall and Dave Mackey has come back to running after having his leg amputated as a result of a violent accident out in the mountains. These stories have been told in public for all to see, but there are hundreds of other comeback stories that we do not see but that are equally transcendent. Many of us, perhaps too frequently, find ourselves coming back from injury. Some of these injuries are minor while others can threaten our very ability to do what we love. Others among us come back to running after long layoffs brought on by life changes or circumstantial realities while still others among us come back to the sport after years away because we became burned out or exhausted. Perhaps the most inspiring quiet comebacks I have seen are from those members of our running community who may, for whatever reason, not be able to run ultras anymore and they return to the sport to give back as volunteers, ambassadors, and friends of the sport. As a matter of fact, these folks, at times, form the lifeblood of the sport and keep us connected to the past and hopeful for the future. Not all comeback stories are as galvanizing at the UVA men’s basketball team, but they can all change us and motivate us, however small. All of these comebacks can show us the power of resilience, patience, optimism, and hope, values which are inherent to our sport and qualities that can keep us moving progressively forward, even on our most challenging days. 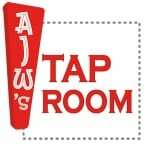 This week’s Beer of the Week comes from Dogfish Head Brewery in Milton, Delaware. 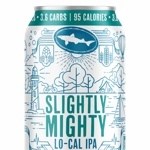 Recently, I had the opportunity to sample one of their newest beers, Slightly Mighty Lo-Cal IPA. At first, I was skeptical, but this new IPA, brewed with monk-fruit extract and containing a mere 95 calories per 12-ounce can, was most certainly not your typical light beer. Bursting with fruity, hoppy flavor and balanced with just the right amount of bitterness, if I didn’t know better, I would think was drinking a full-calorie IPA! What are your favorite comeback stories from running, other sports, or anywhere? I was running a local 30K last spring and during my warm up, I noticed a small, lean frame runner with leg tattoos at the start. He looked like a veteran runner by his build alone. We ended up running the first 10 miles together stride for stride, and shared a few words along the way. I pulled ahead around mile 10 and I didn’t see him again until he edged by me around mile 17. I caught back up to him around a corner up ahead, we’re now within half mile of the finish line, and he was walking. What I thought was initially a cramp, he urged me to go ahead and finish strong as he has A-fib, and was simply slowing it down to finish strong. I was stunned. He ended up rallying and finishing 14 seconds behind me. We exchanged a few words at the finish line and a hug out of respect. I went home later and after a nap I looked up the results, curious to learn more of this veteran runner named Malcolm. I learned he was an elite road runner back in the late 70s, early-mid 80s, placing 5th @ Boston with a 2:11 in 1981. I was speechless. He began having heart problems in his late 50s and dismissed it as stress from some life events. He said he’s back running and feeling strong again. You just never know who you’ll meet at the start/finish line. Happy running to all. Great post Andy. Bridging stories and themes from timely national team sports to ultrarunning to life takes a certain editorial knack — I guess that’s why you’re the editorialist! And you know a personal thing or two about comebacks. Nice work.